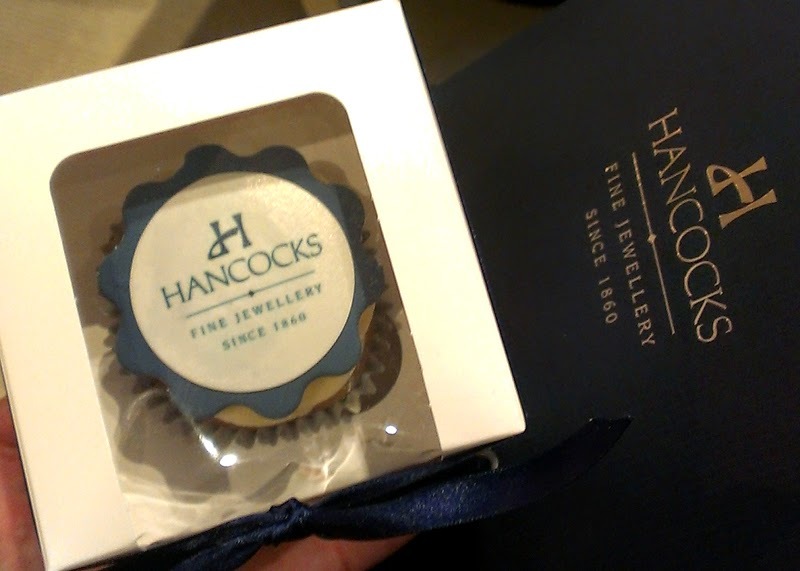 A few weeks ago I was invited along to Hancocks jewellers in Manchester along with a handful of other bloggers as part of their 'Finest Diamonds' event. Not knowing what to expect, I happened upon Hancocks on King Street, not having noticed it before. 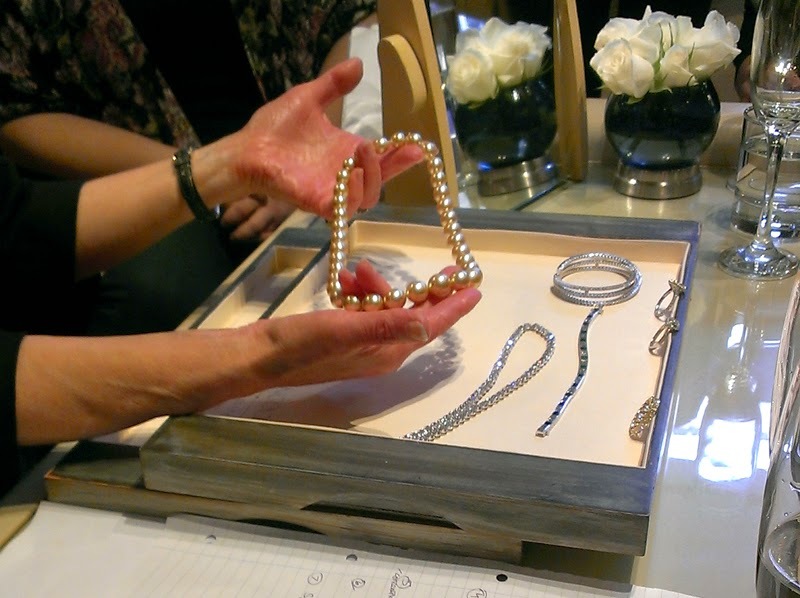 I was lead through the shop into the back room where an intimate group of us were treated to champagne and an introduction to the company's collection of diamond jewellery. It was really interesting to hear the history behind the brand, who've had origins in Manchester since 1860. Still family-owned, Hancocks are internationally-recognised as a leading authority in fine diamonds and gemstones; all on our doorstep! We were, of course, also invited to try some of the pieces. 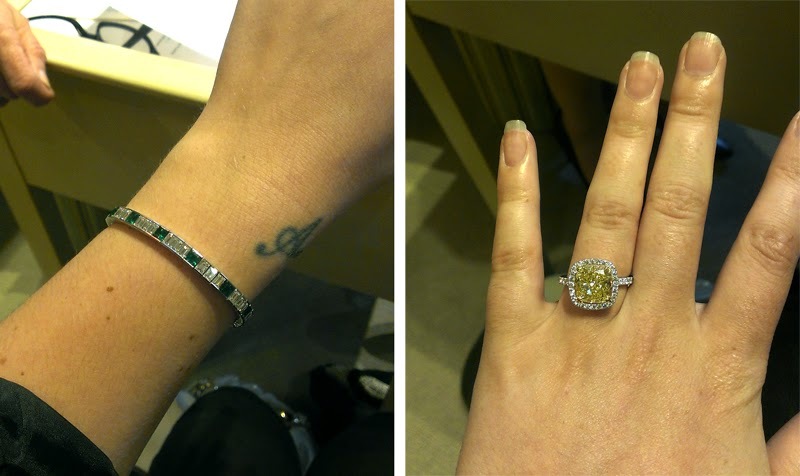 I fell in love with the beautiful art deco diamond and emerald bracelet above and couldn't resist putting the HUGE yellow diamond ring (well over £100k FYI...) on my engagement finger- had to also send the picture round my friends' Whatsapp group for a larf, totally had them fooled. It's hard to do the jewellery justice in the photos, being difficult to truly pick up just how sparkly the diamonds are. I had an absolutely lovely afternoon at Hancocks and was well looked after. We were even sent home with a lovely gift bag and a yummy cupcake! 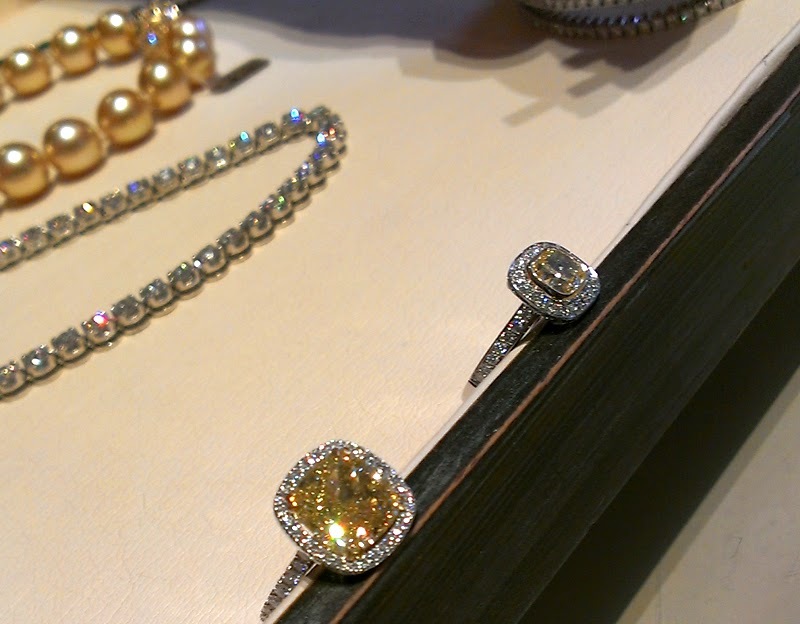 Are you a fan of diamond jewellery? I wish I went to that event with you, the jewellery looks amazing! Lucky lady - I would love to get my paws on all that bling!!! !